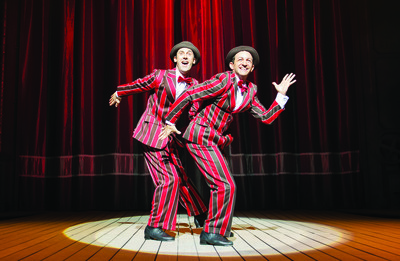 A splash of Broadway is forecast for Melbourne this May, as SINGING' IN THE RAIN premieres at Her Majesty's Theatre. The musical spectacular is based on the tap-tapping MGM 1956 movie classic, which starred Gene Kelly and Debbie Reynolds. 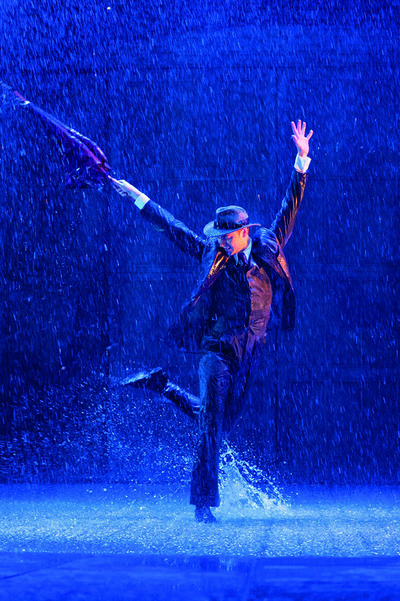 The movie, synonymous for that scene in which Kelly tap dances in a downpour on the streets with his umbrella in hand, is a light-hearted impression of Hollywood in the late 20s. Despite being only a modest hit when first released, the MGM Singin' In the Rain movie, went on to achieve long-term greatness, including a win at the Golden Globes Awards. It is often referred to, as the best movie musical ever made. Now it is your turn, good people of Melbourne, to enjoy SINGIN’ IN THE RAIN in an all-singing, all-dancing, all indoor raining live event. Produced in Australia by Lunchbox Theatrical Productions, Michael Cassel Group, David Atkins Enterprises and Dainty Group International, the popular musical will see Adam Garcia play the lead role of Don Lockwood. Adam is joined by Jack Chambers playing Cosmo Brown, and Gretel Scarlett starring as Kathy Selden. Expect energetic choreography, magnificent stage sets and the exhilarating spectacle of that scene featuring rain live on stage! 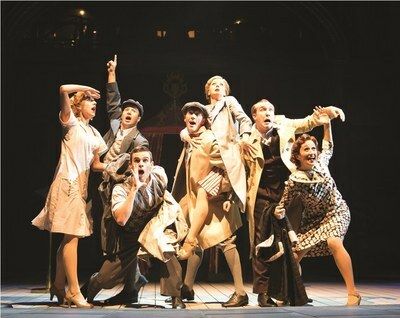 Enjoy a thrilling on-stage adaptation of arguably one of the best big-screen musicals ever made this Autumn, premiering at Her Majesty's Theatre on Saturday 7 May, 2016.